Help Us to Reach Goal! You guys are AHHHHHMAZING! We are so grateful and excited! Sooooo many wagging tails and purrs over here! 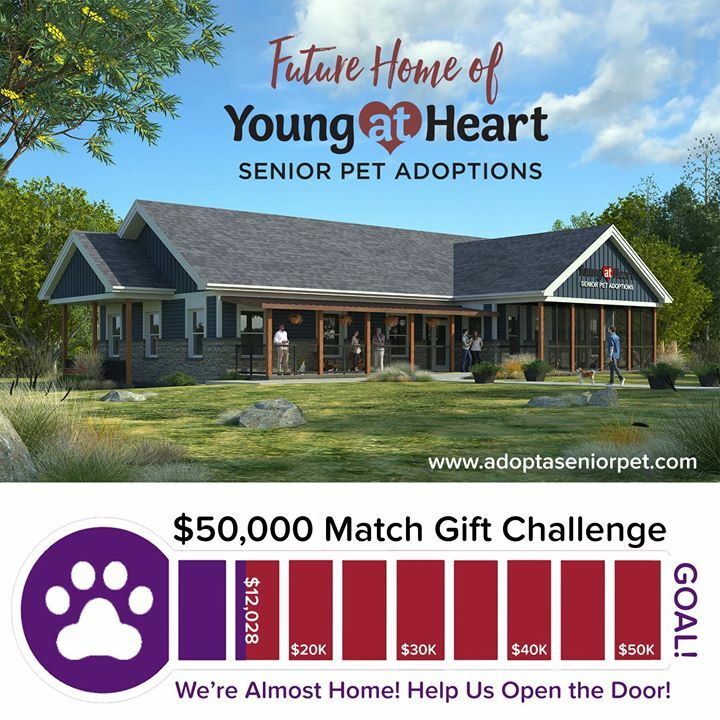 We just launched our final $50,000 matching gift challenge for our adoption center and sanctuary for senior pets, and we're already at $12,028 raised! Every dollar that you donate is being matched by an angel donor to help us open the door to our safe haven for senior pets this year! Will you make a gift in honor of a beloved pet or family member? Your gift will help us save 4x the number of senior pets that we can help each year! Plus we've got some really fun swag, and naming rights are still available, too!